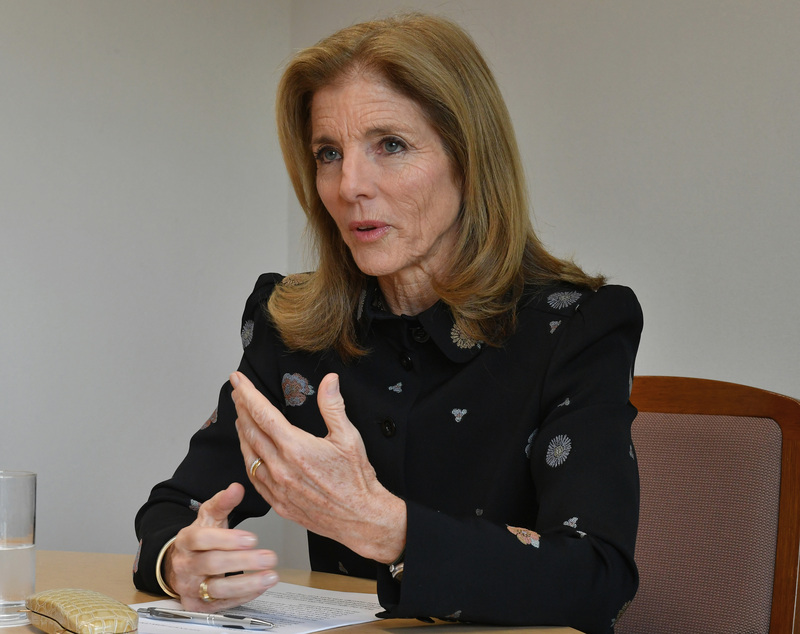 Caroline Kennedy was in top form when she returned to Japan recently for a two-week visit. Following her arrival here on Oct. 25, the former ambassador’s itinerary was nonstop. Highlights included her biking across the Seto Inland Sea in a race, Cycling Shimanami 2018, as a member of the U.S.-Japan Foundation’s team, watching children from Japan, the U.S., South Korea and the Philippines recite poetry at a competition in Okinawa, and moderating a panel discussion with young Asian leaders at an Asia Society event in Tokyo. “I love Japan and I was so happy to be back here. 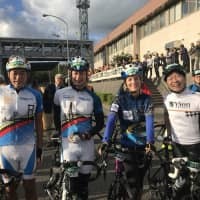 I got so emotional when I was at the bike ride,” said Kennedy, 60, who served as the U.S. ambassador to Japan from November 2013 to January 2017, about the cycling event in Hiroshima and Ehime prefectures. 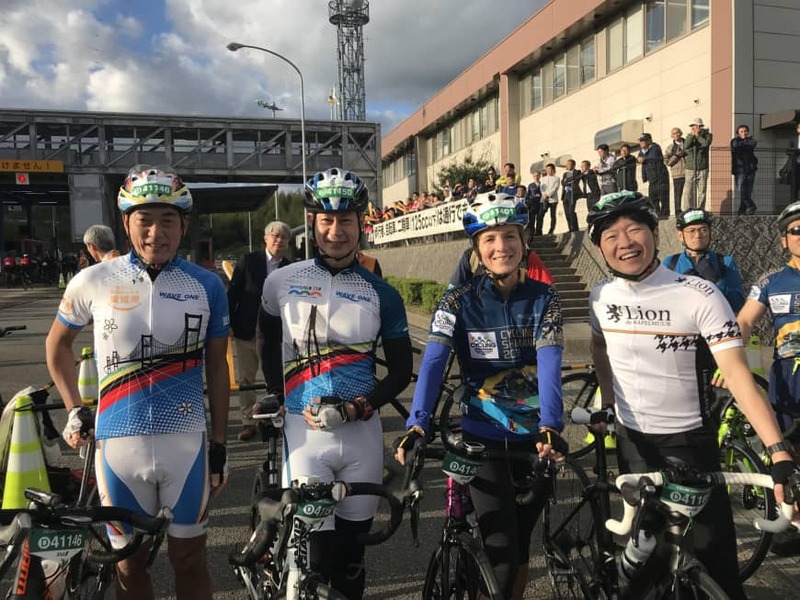 During her stint as ambassador, Kennedy also participated in bike rallies in Tohoku to support the region’s recovery from the 2011 earthquake and tsunami disasters. 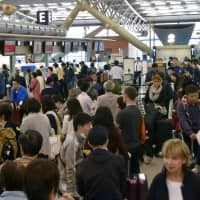 While serving in Japan, she was treated like a celebrity wherever she went, since her father, the late U.S. President John F. Kennedy, who was assassinated in November 1963, was hugely popular in the nation even though he never visited Japan while president. Similarly, people warmly welcomed her return this time. “I don’t think Americans are as aware of how much this alliance contributes to their daily lives and how positive this is, because the headlines are dominated so much by what happens domestically, especially during the last two years,” she said, hinting at how the U.S. political atmosphere has evolved since the emergence of U.S. President Donald Trump. 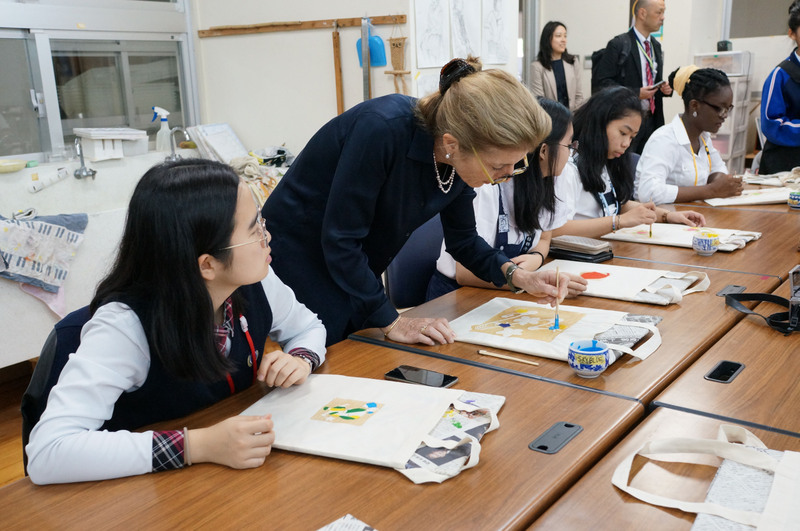 “People don’t realize how much Japan and the U.S. do together here in this region and around the world, whether humanitarian assistance or helping refugees or supporting U.N. — outer space, technology, medical research,” she said, listing a few examples. Recalling her days in Japan, the attorney and bestselling author said the high point of her career had been securing President Barack Obama’s historic visit to Hiroshima in May 2016 and Prime Minister Shinzo Abe’s visit to Pearl Harbor in December in the same year. Kennedy played a central role in organizing the visit to Hiroshima, where the U.S. dropped an atomic bomb in 1945, killing about 140,000 people. No other U.S. president has visited the city. 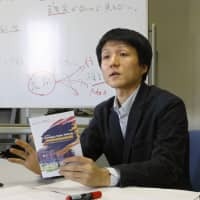 “I first visited Hiroshima when I was a college student. I came with my uncle. It really made a profound impact on me, in terms of giving me a sense that we all need to try to work for a peaceful world and do everything we can to prevent something like that from ever happening again,” Kennedy said. Her visit to Hiroshima came as part of a delegation led by her uncle Sen. Ted Kennedy in 1978. She added that her father also worked hard toward that goal, pointing to his role as the chief architect of the Limited Nuclear Test Ban Treaty, which was signed by the U.S., the U.K. and the Soviet Union on Aug. 5, 1963 — a day before the 18th anniversary of the Hiroshima atomic bombing — after more than eight years of difficult negotiations during the Cold War. Believing that a ban would prevent other countries from obtaining nuclear weapons and therefore an arms race, he convinced both the public and a divided Senate to support the treaty, which prohibited nuclear weapons tests or other nuclear explosions under water, in the atmosphere or in outer space. 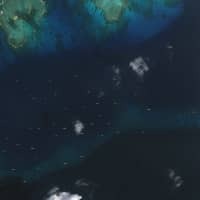 “So, I have had that experience many years ago. And when I came back as ambassador, I went to Tohoku and Nagasaki and so on,” she said, describing how the experience in her younger days felt connected with the events and issues related to the 70th anniversary of the war, Obama’s visit to Hiroshima and Abe’s visit to Pearl Harbor. 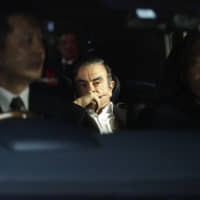 “I think it was very inspiring — not just for people in Japan, but around the world — to see that countries that had fought each other have worked and built this tremendous partnership, and been able to demonstrate this kind of leadership and reconciliation,” the former ambassador said. That said, the world currently seems to be steering away from nuclear non-proliferation. President Trump recently told reporters that the U.S. will withdraw from the Intermediate-Range Nuclear Forces Treaty signed with Russia in 1987. The treaty, which bans ground-launch nuclear missiles with ranges from 500 kilometers to 5,500 km, has kept nuclear missiles out of Europe ever since. Among her other significant accomplishments, she noted the return of nearly 10,000 acres (4,046 hectares) of land on the northern part of Okinawa Island to Japan from the U.S. — the largest transfer of land since the U.S. returned Okinawa to Japan in 1972. The returned land had been part of the Northern Training Area. “I think that hopefully contributed, long term, to the more positive dynamic in that area,” she said. Asked what occupies most of her daily life now, Kennedy, who holds a number of titles, said she seems to be kept busy with many things. “I am writing a book. I am working at the Asia Society. I am working with refugee organizations. I am working with student organizations. I am the director of Boeing. I have a lot to do,” she said. Kennedy was the first woman to serve as ambassador to Japan after almost 30 male predecessors from her country. Touching on women’s empowerment, she highlighted many barriers — both structural and in terms of attitude — that hinder women’s ability to play an active role in politics and business in Japan. But Kennedy added that the U.S. also has a lot of the same problems, and that both countries share the challenges that need to be overcome. “It’s important that this is not all seen as a women’s issue, because this is really a family issue. Any father would want his daughter to be as successful as they could in all parts of their life,” she said. Kennedy herself is a mother of three.